Emergencies never happen with a warning. 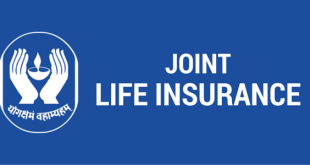 At such times, a good medical insurance can be a boon for the sufferer and family members. Medical costs and treatment prices are skyrocketing every day. If your medical insurance is in place, it lifts a major weight off your shoulders. You can concentrate on taking care of your health and getting the medical care and attention you need, instead of worrying about your finances. A good medical plan is not just a requirement but a necessity in the modern world. 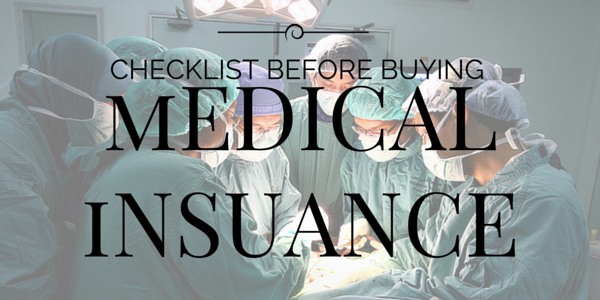 Here are some things to consider before you commit to a medical insurance. The first step to finding a good medical insurance is to do proper research. You should choose a company which is reputed to be fair in its dealings and has a list of happy and satisfied customers. You can read through the reviews online or ask for recommendations from family and friends to find out what the market opinion is. You can also hire an informed insurance broker who explains the pros and cons of the various policies available in the market. You can also choose if you need an individual plan or a family plan based on your requirements. 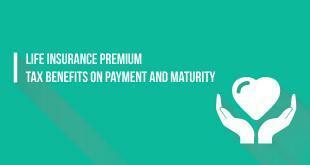 It is important to make sure that the insured amount is adequate to cover your health requirements. A lot of insurance companies will not compensate for any amount that is more than the coverage limit. This might be very troublesome as medical needs increase with age or due to some accident. If the insured amount is high from the beginning, such problems can easily be avoided. Getting an insurance is a complicated matter and it is important to read the terms and conditions accurately before committing to a company. Different companies have different limitations and benefits when it comes to their policies. There are some medical insurances which will not cover dental plans. Some insurance companies also pay all the medical fees but pay only a limited percentage of room fees. Some pay for room rent only if it on a sharing basis and not for a private room. There are also companies which exclude some diseases which you do not expect. It is important to not just choose a good health plan but to pick one that is perfect for you. Read the fine print before choosing the perfect health insurance. If you are already suffering from some long-standing diseases or ailments before you purchase a medical insurance, you need to be sure that your plan is covering the cost of those treatments as well. A lot of companies refuse to cover previous health issues or those which have a high genetic probability. Some companies have a long waiting time which run into years before they start paying you for costs incurred due to pre-existing diseases. It is important to find a company that covers you in your time of need. A lot of insurance companies have an agreement with their network hospitals which are greatly beneficial to plan owners. With these affiliations, you do not have to wait to get reimbursed and use the cashless facility instead. In these cases, the hospital forwards your bill to the insurance company and they pay the amount. You are saved from the hassle of arranging the cash and filling out too much paperwork and have a smooth billing process. A good network of affiliated hospitals can be a major advantage for your insurance company. Different companies have different limits in terms of the number of days they will cover for you before and after your hospitalization. Most plans cover for a month before and after, but some take care of your expenses until full recovery. Your insurance will only have value if it covers you till you are completely well. A lot of insurance companies charge extremely high amount or refuse to cover the charges after you reach a certain age. A majority of people face illness only when they reach old age. At such an age if your medical expenses are not covered, it can be a huge burden on your finances. You should choose a good company which covers you even when you are old and ailing.